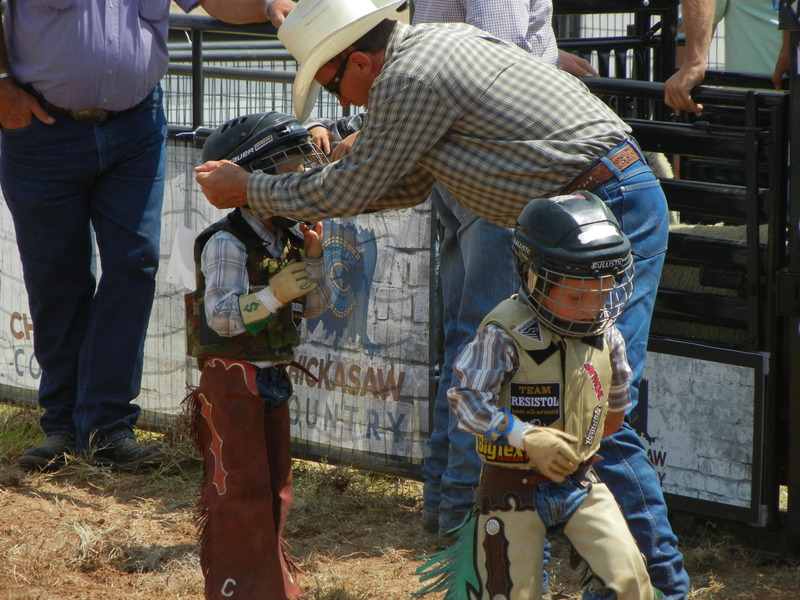 For the last three years, the Winstar World Resort in Thackerville, Oklahoma has hosted the PBR’s only outdoor Built Ford Tough Series event. 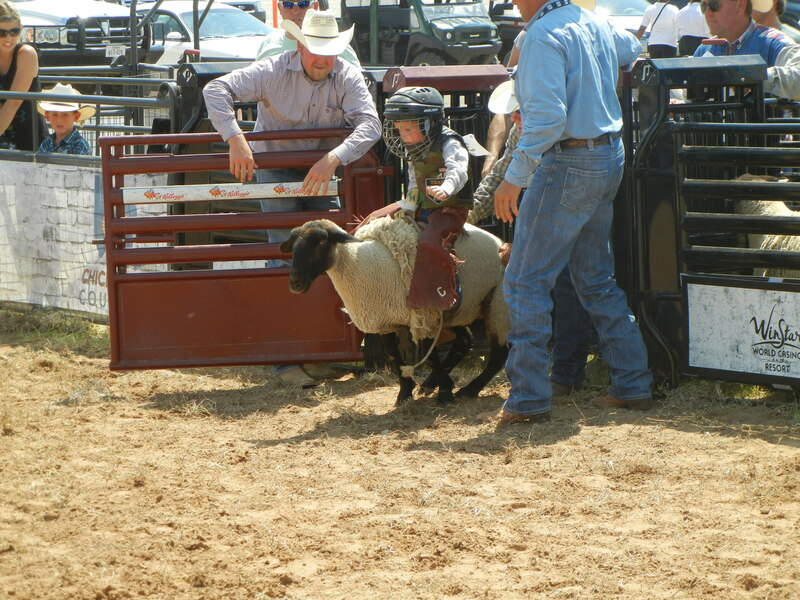 And one of the biggest crowd pleasers has been the PBR University’s Wool Warriors Mutton Bustin’ Event. 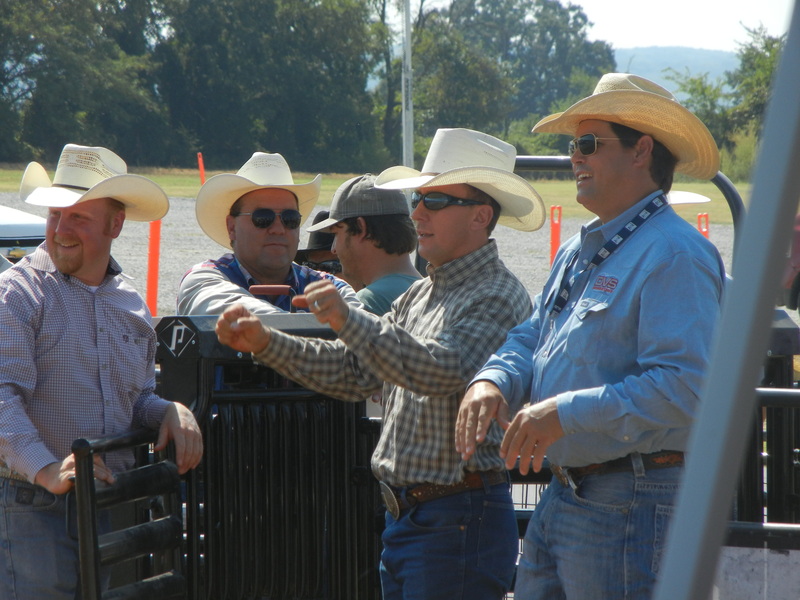 Throughout the qualifying rounds spectators were able to meet the likes of: two-time PBR World Champion Justin McBride, the PBR’s “Iron Man” J.W. 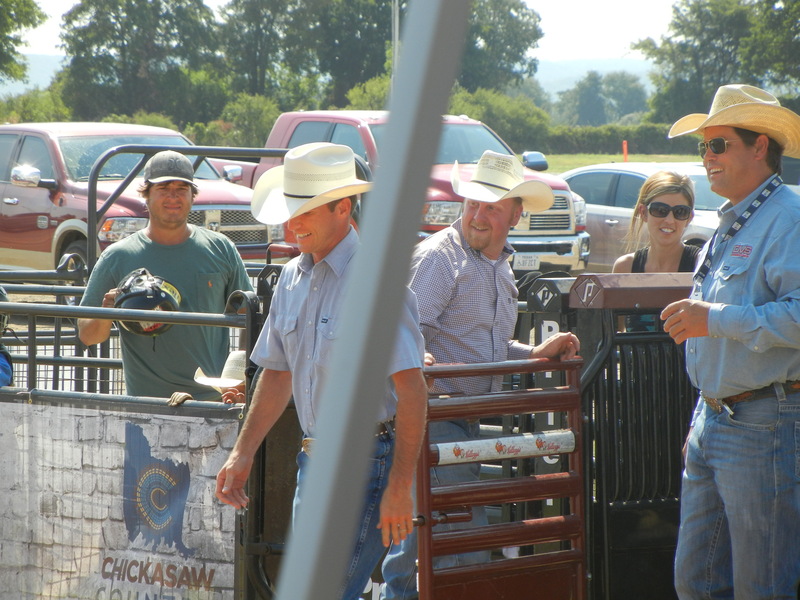 Hart and PBR BFTS Top Five cowboy Cody Nance. 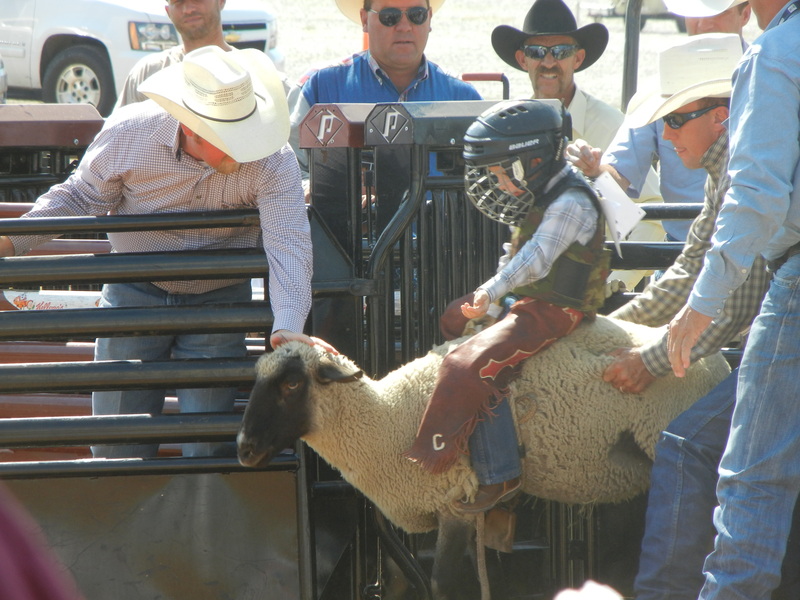 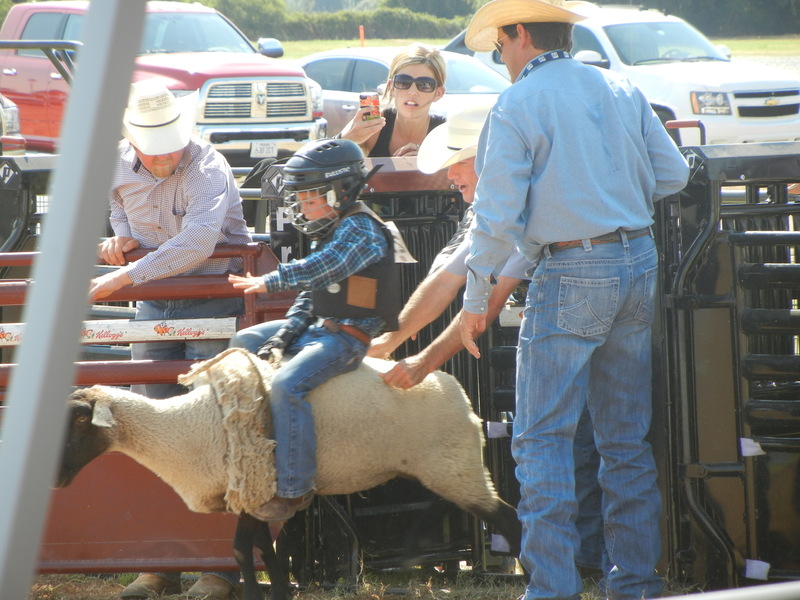 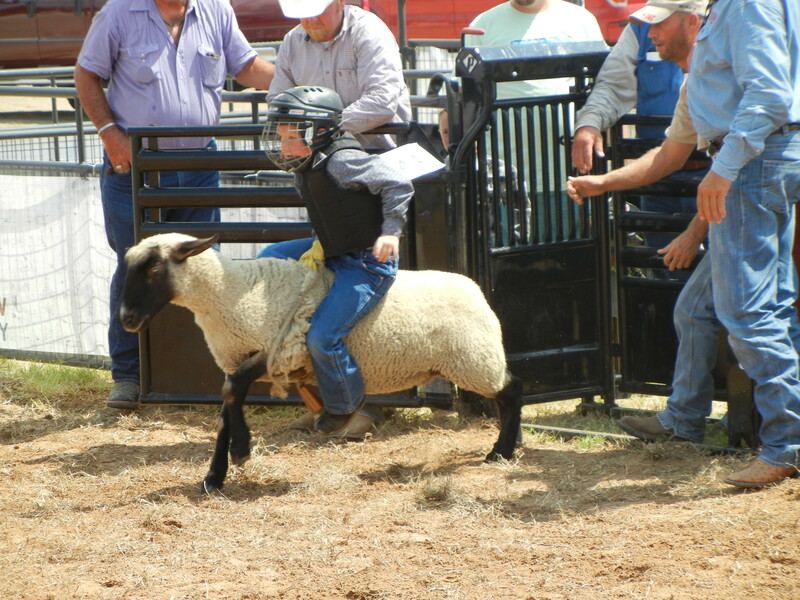 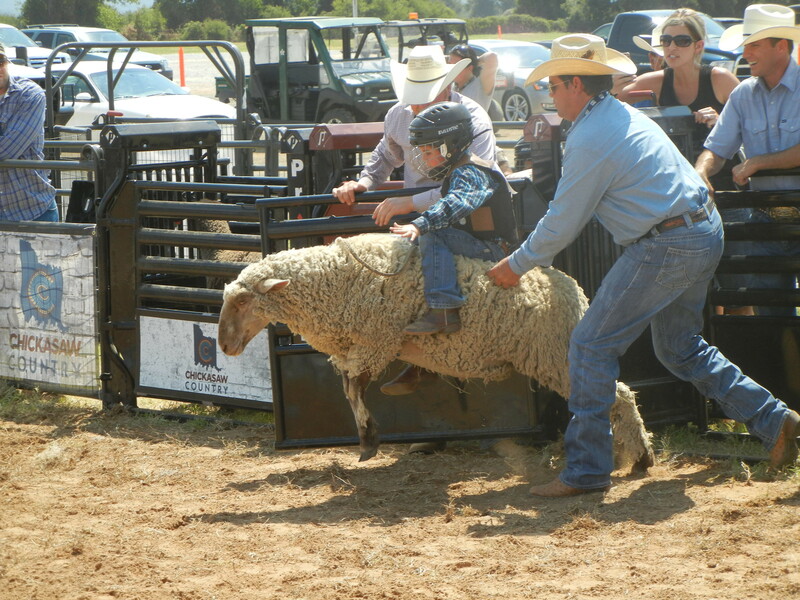 Four sections of Mutton Bustin’ were held during the day on Saturday in order to select five youngsters to ride during prime time at the Built Ford Tough Series Event that evening. 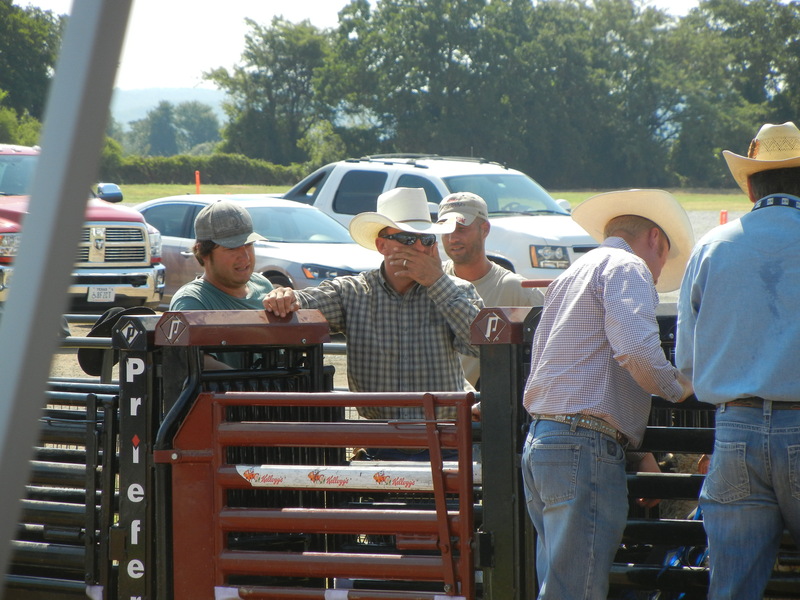 Each section winner automatically advanced and the average winner for the day was the fifth selectee. 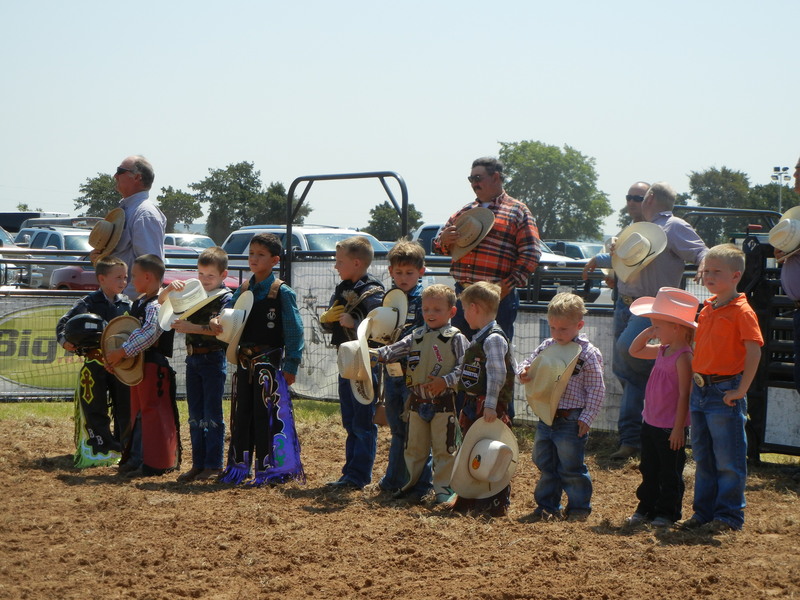 Brennan Polito, Cooper Coleman, Lance Lara and one other youngster advanced to the finals with section wins. 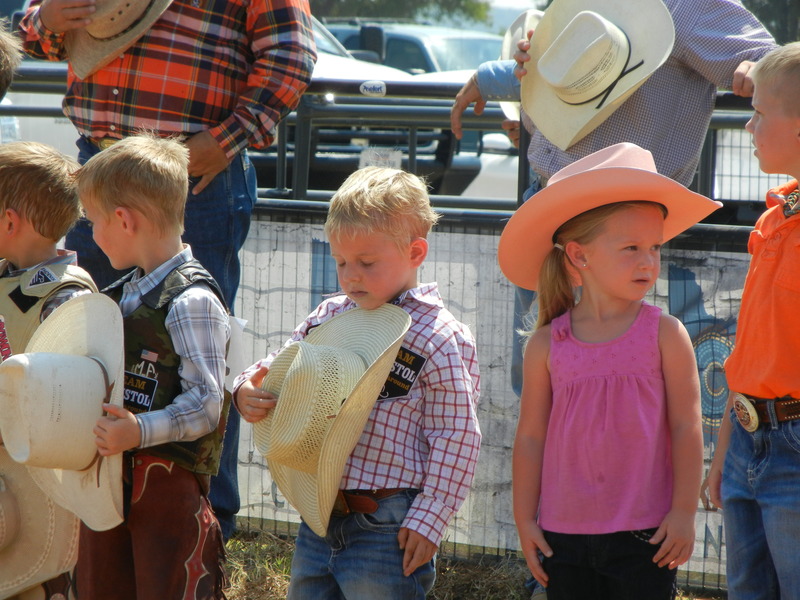 Wacey Hart, son of PBR Legend J.W. 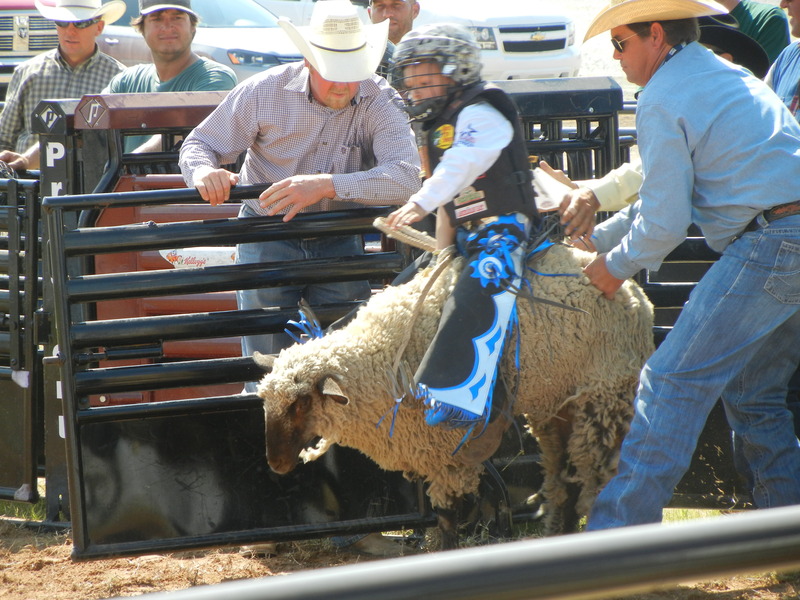 Hart, earned his spot through the average win. 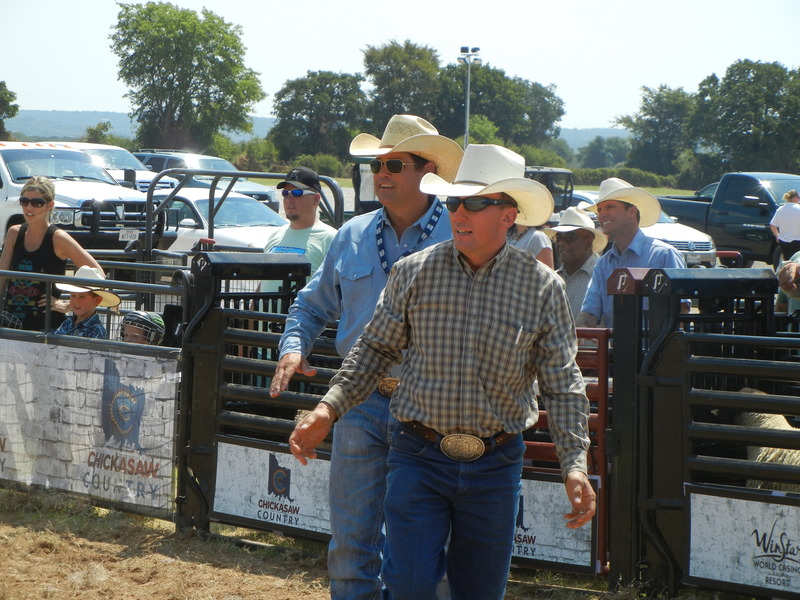 In the end, Lance Lara stole the show, winning the final round and celebrating with a dance that would put Ben Jones to shame…the capacity crowd went wild when Lara got his boogie “on”!